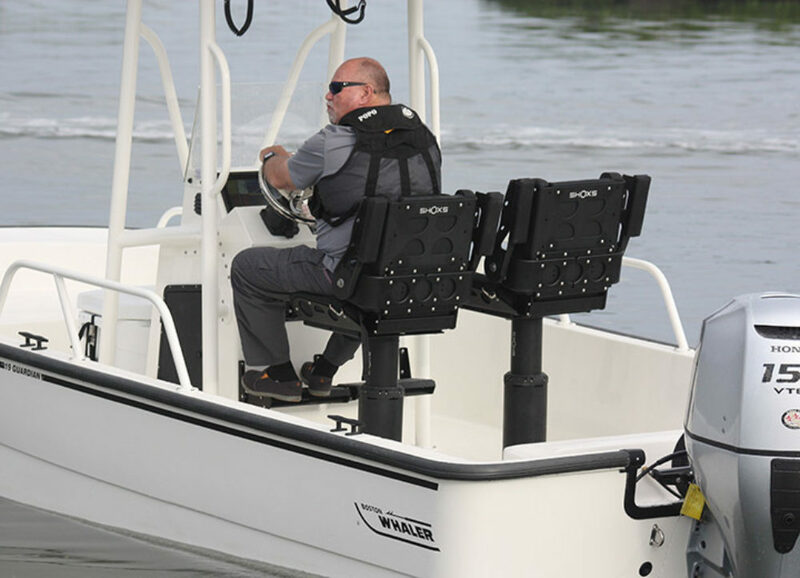 The most versatile shock mitigating seat mount ever built. 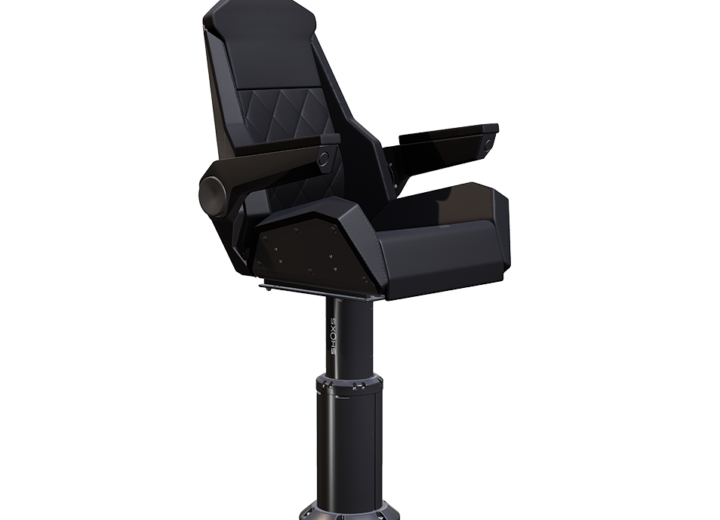 Advanced military technology that lets you turn any chair into a shock mitigating seat. 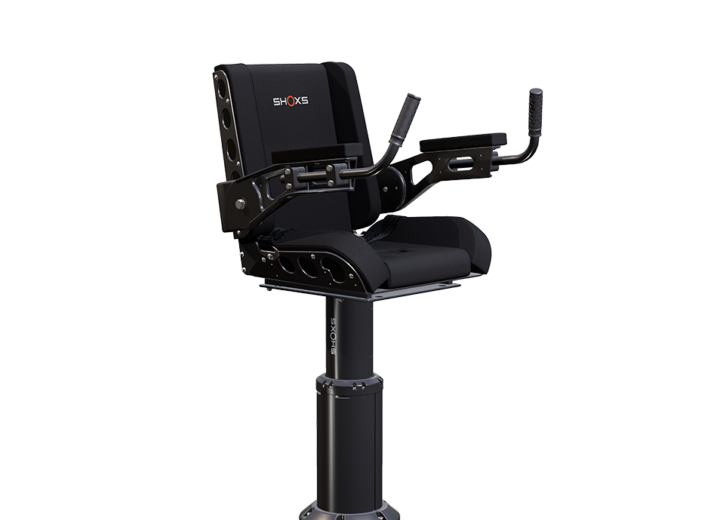 Shock Mitigating Pedestals allows you to turn any chair into a shock mitigating seat. The design is based on the world's best military shock mitigation systems. 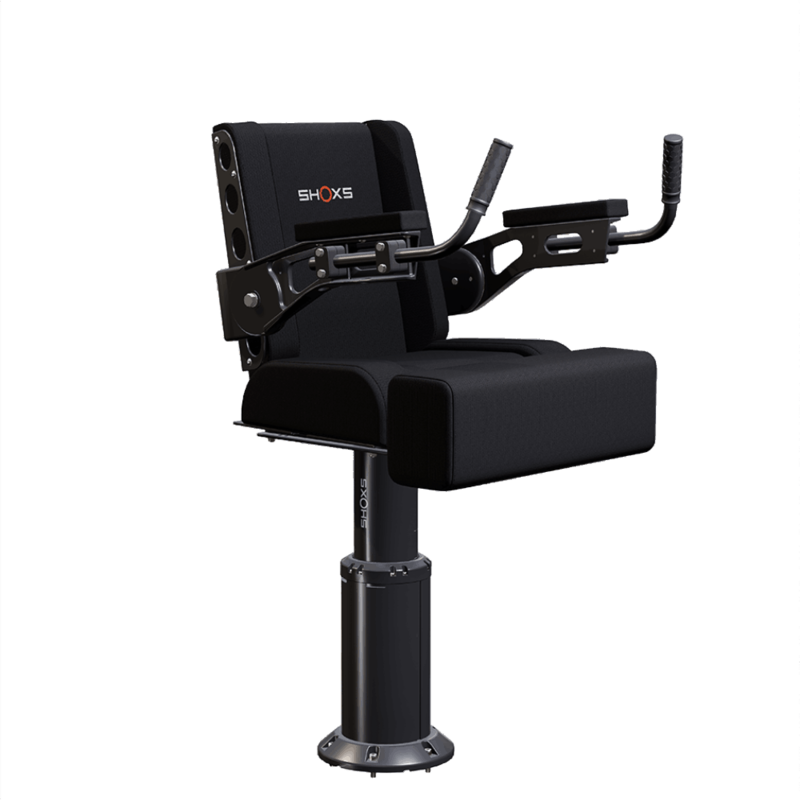 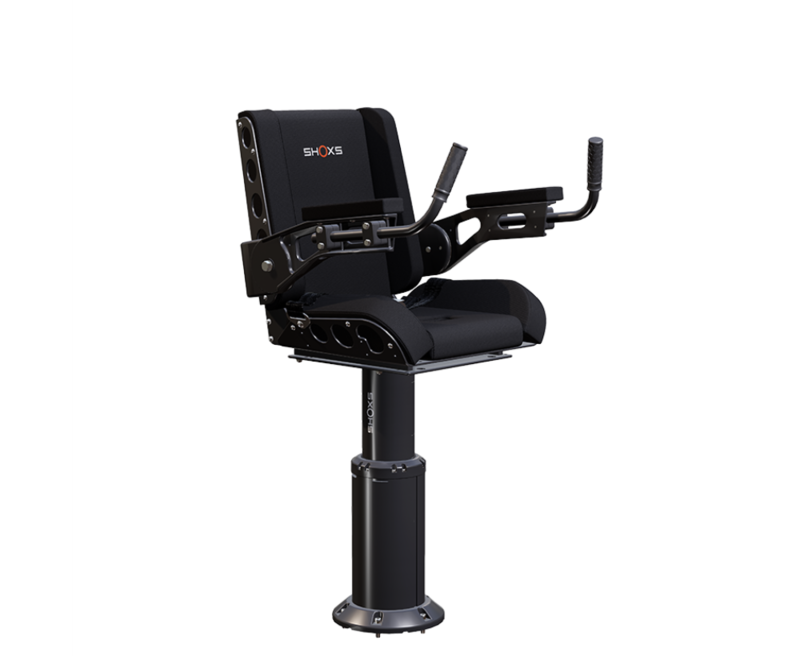 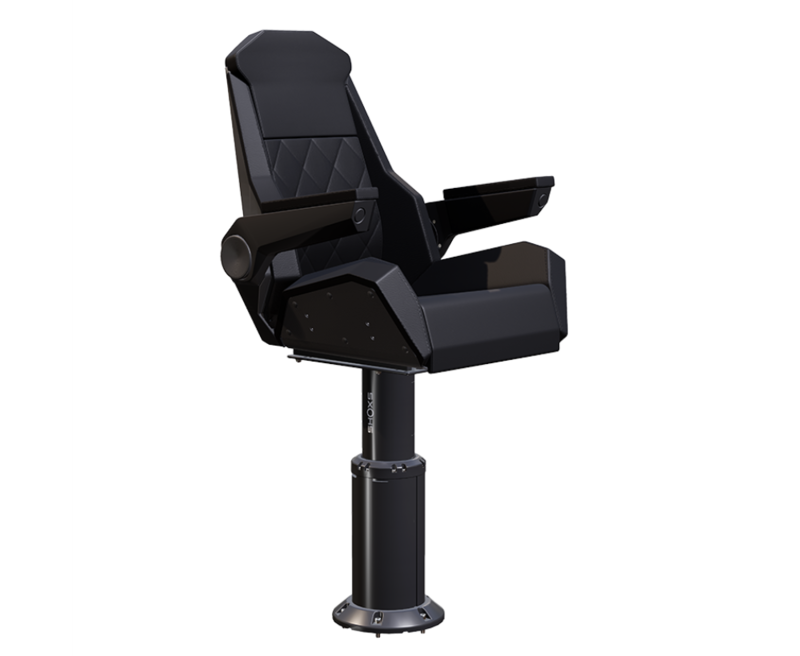 We've taken this technology and packaged it into a compact unit that will integrate with any of the seat modules available on the market. 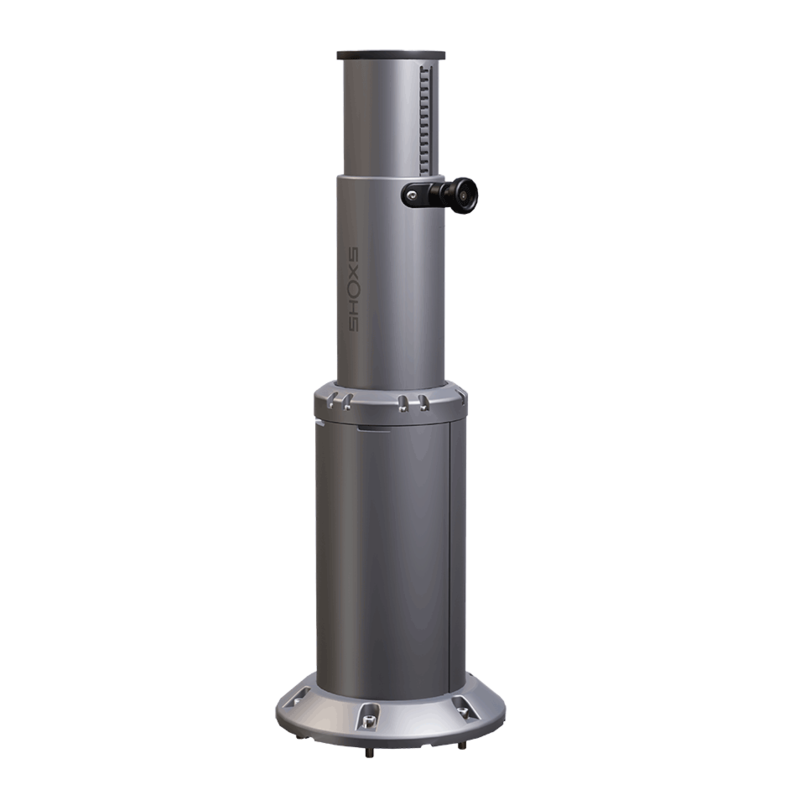 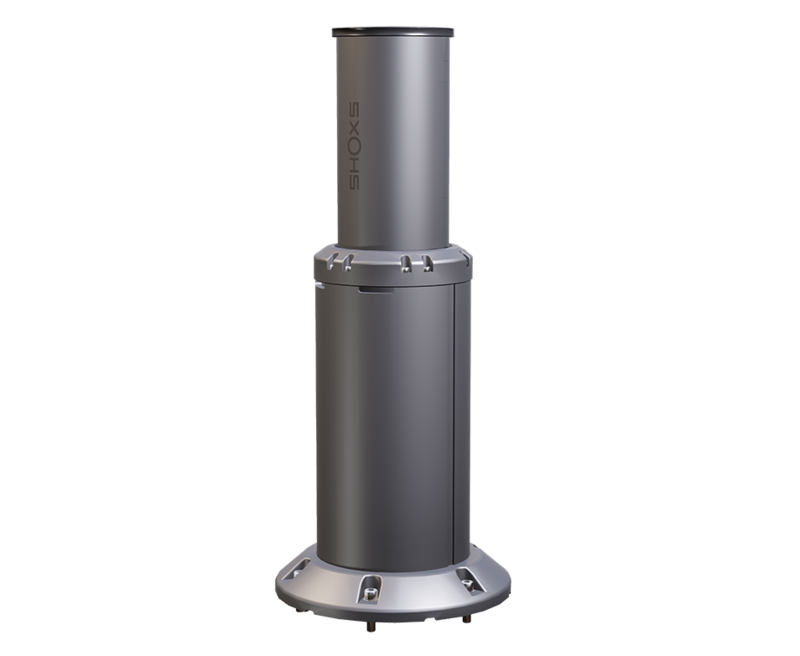 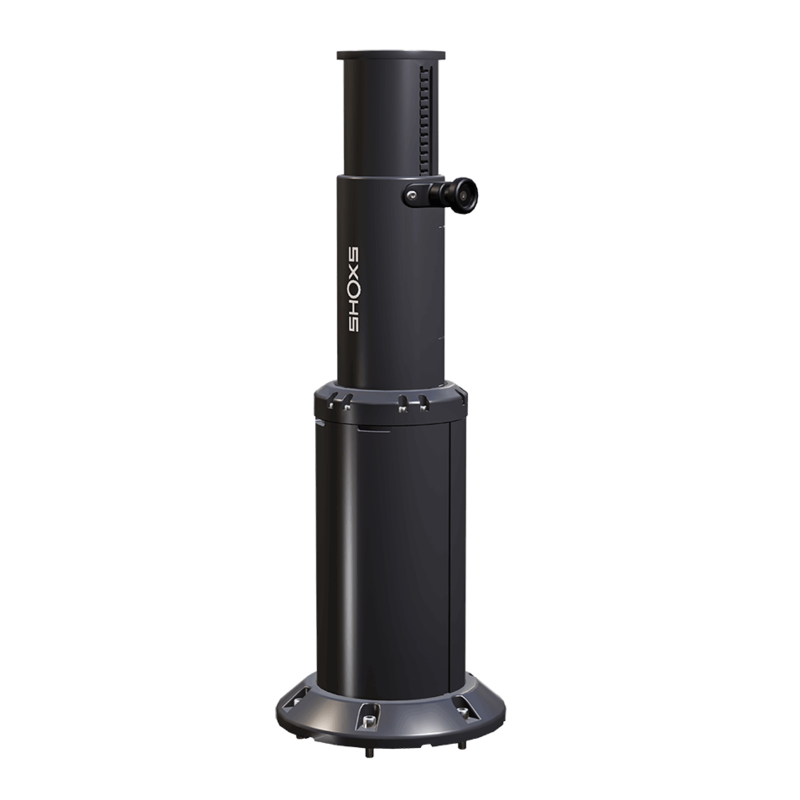 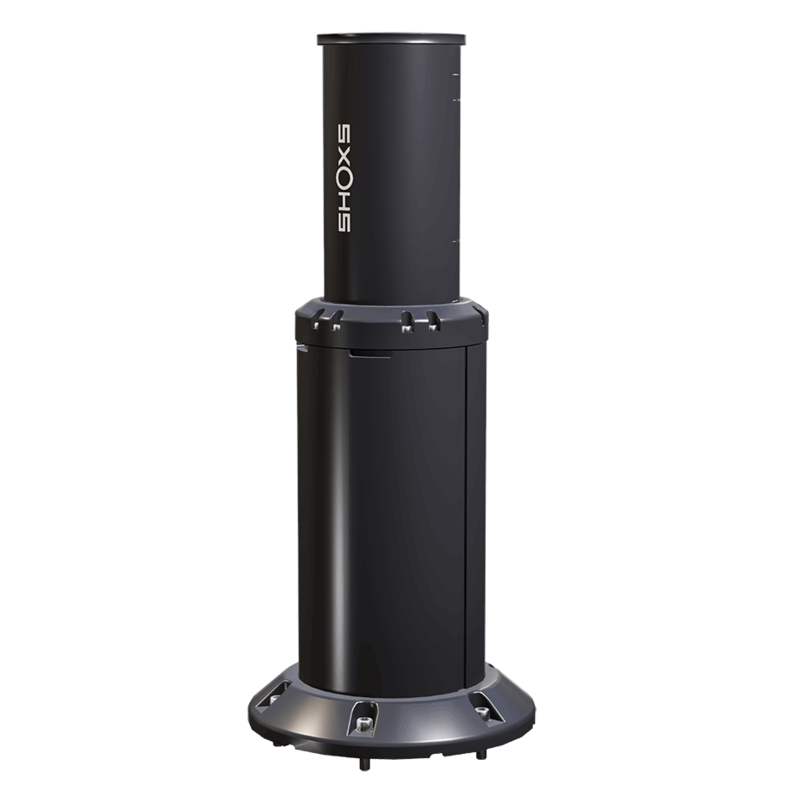 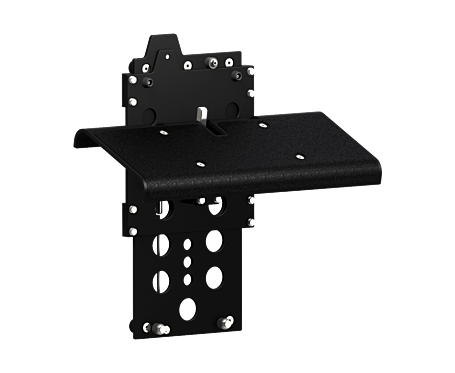 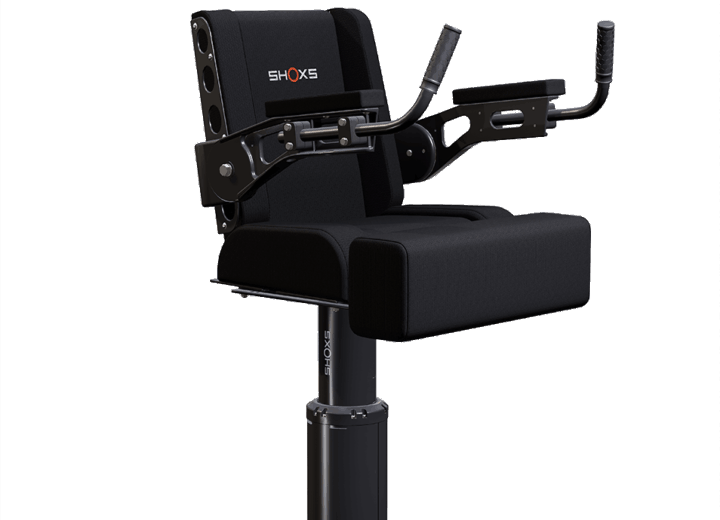 The X8 Pedestal offers 8 inches of adjustable suspension travel. 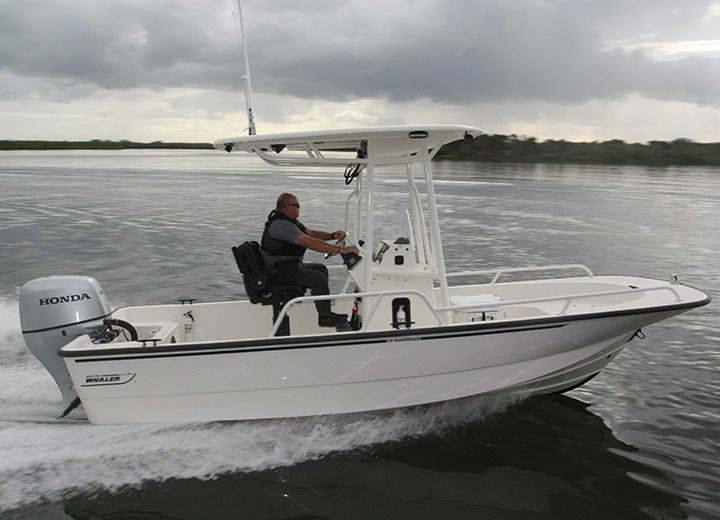 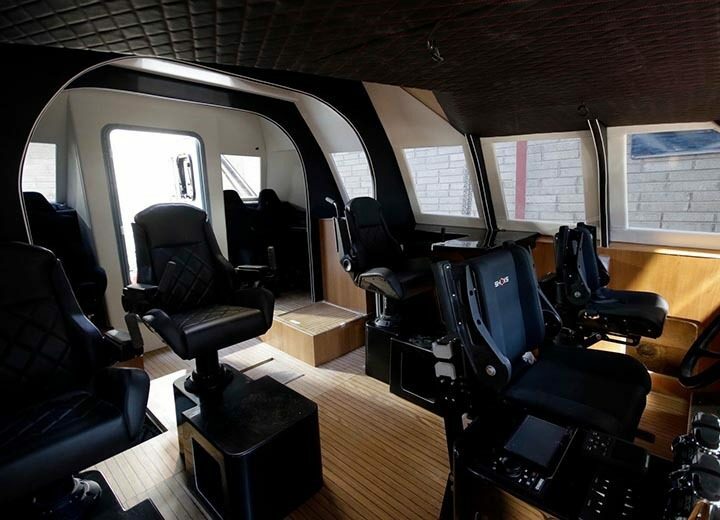 SHOXS 3400-X8 on Safehaven Marine's "Thunder Child II"